Apply for scholarships. Look for scholarships available through local community organizations, foundations, corporations and nonprofit groups. 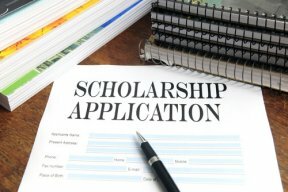 Online tools to help you: FederalStudentAid and TuitionFundingSources.com. Fill out the FAFSA form. Completing the Free Application for Federal Student Aid (FAFSA) form is the first step toward getting financial aid for college, including aid that doesn’t need to be paid back, such as federal grant money. It only takes 30 minutes to complete online and provides access to grants, loans and work study programs. More information can be found on fafsa.ed.gov. Encourage monetary gifts (including 529 plan gift cards) from family members and friends for college savings plans for gift-giving events. To learn more about ways to help pay for college, contact a MassMutual bilingual financial advisor or visit MassMutual.com.